One of the most important issues US President-elect Donald Trump raised during his election campaign was the Iran nuclear agreement. Trump strongly rejected the deal and promised to at least renegotiate its provisions. It is too soon to forecast what he will do when in office. But a decision by the new administration to undo the agreement could be very damaging – to stability within Iran, the country’s economic recovery, and US relations with Europe and Russia. So, what are the implications if Trump tries to give effect to his campaign rhetoric? Western hostility to Iran and attempts to isolate the country could have, on several occasions, brought the conflict to most of the Middle East. But under US President Barack Obama’s leadership, the parties have drawn back in their confrontation. This has cemented the foundations for a more stable future in the Middle East. In reducing tensions emanating from Iran’s nonexistent nuclear weapons program, the agreement has dramatically reduced the risk of conflict. Were Trump to abandon the agreement, the US would struggle to contain Iran’s volatility. It would also damage US credibility and risk reversing the achievements of previous years. The agreement is part of a process that began in 2001 when the US removed Iran’s eastern threat, the Taliban. It inadvertently changed Iran’s strategic environment by also removing its challenger to the west, Saddam Hussein, in 2003. Iran has been largely successful in repelling Islamic State (IS) in areas of Iraq that are of strategic concern. Also, Iranian interests in Syria appear increasingly secure in the wake of grotesque conflict troubling the region. To the extent that Iran is competing with Saudi Arabia for regional leadership, it will have watched the debacle in Yemen with some satisfaction. While weakened by its engagement in the Syrian conflict, Iran’s ally, Hezbollah, seems secure as the leading force in Lebanon. US backtracking could encourage hardliners in Iran to exploit this strong position by pursuing a more aggressive approach to the region. Iranian President Hassan Rouhani staked the success of his administration on Iran’s economic recovery. The latest round of Western sanctions over the nuclear issue had a major impact on Iran’s access to the global economy by deterring foreign investors and the support of international banks. The removal of sanctions is, therefore, central to that recovery. The US response has been less clear cut, complicated by the difficult domestic political situation facing the Obama administration. The recent decision by the US Senate to maintain existing sanctions has added to Iranian skepticism over US intentions, and accusations of a lack of good faith. Of particular concern is the impact US noncooperation might have on Iranian domestic politics. Iran is entering a period of potential domestic uncertainty with its presidential election, scheduled in June 2017. Parliamentary polls in February could see Supreme Leader Ali Khamenei replaced. Khamenei has been able to stabilize tensions within Iran by balancing the pressure exerted by theocratic forces and republicans for policy change. Rouhani also faces powerful domestic opposition to his rapprochement with the West. 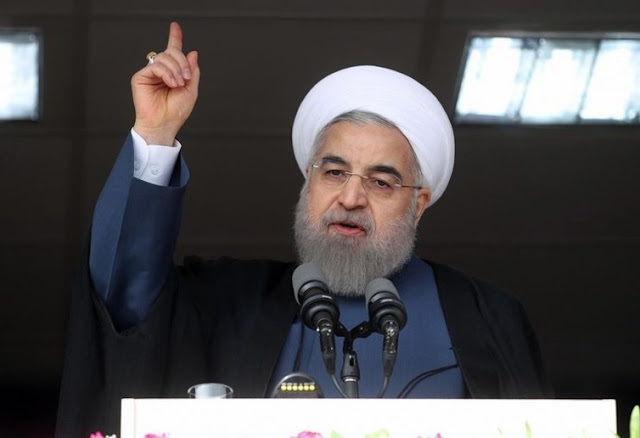 It is important for the region’s future that Rouhani is re-elected. This depends on Iranians seeing real benefits from the nuclear agreement. Following the removal of UN sanctions in December 2015 and the lifting of European Union sanctions early this year, Iran was able to quickly re-enter the oil market. In doing so, it tripled the amount of oil it has exported since late 2015. Benefits from removing the sanctions have begun to flow to the economy. But the US attempts to sabotage the agreement would drive many people into the arms of hardliners who are closely tied to former president Mahmoud Ahmadinejad. This is especially important because they believe nuclear weapons are imperative to discourage military action against Iran. The Iran, agreement is an important facet of relations between the US and Europe. In general, Europe supports the agreement and Iran’s rehabilitation. Its leaders see great economic opportunities and value the security benefits of the deal. European leaders have also expressed their commitment to implement the agreement in full by saying it is a multilateral, not bilateral, deal. As such, Europe is unlikely to reinstate its sanctions against Iran. However, its ability to compensate for the damage that would be caused by a US withdrawal is an open question. Britain’s decision to leave the EU may see London attempting to draw closer to the US. And next year’s French elections may weaken France’s commitment to the deal. Much of Trump’s intention is to improve relations with Russia, but this would be complicated by a US withdrawal from the Iran deal. Like other European countries, Russia has begun to pursue commercial opportunities arising from the nuclear deal. Russia and Iran have also developed a strong working relationship over regional security. The Syrian crisis is the most immediate manifestation of that relationship. And if Trump is serious about co-operating with Russia in combating IS he will have to accept that Iran is part of the package. The agreement’s benefits and the consequences of its collapse have become apparent to some of its most vocal critics. Since the US election, Israeli Prime Minister Benjamin Netanyahu and the Republican chairman of the US Senate Foreign Relations Committee, Bob Corker, have moderated their hostility to the deal. Former secretary of state Henry Kissinger argues US retraction from the agreement would benefit Iran more than the US. Even Trump’s pick for secretary of defense, James Mattis, opposes any the US withdrawal from the deal, despite initially criticizing the agreement. Ultimately, it would seem to be in America’s interests to preserve the agreement. Failure to do so would play into the hands of hardline opponents across the region and provoke a crisis that might well dominate Trump’s presidency.